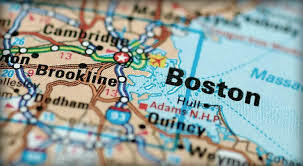 I was driving my in-laws in from Saint Louis when I heard the news about the explosions at the Boston Marathon. An eight-year-old child was killed, along with two other people, and many more were injured. And the strange thing is, I don’t think news like this surprises us anymore. It saddens us, angers us, frightens us, discourages us, disheartens us. But it doesn’t surprise us anymore. When we’re surprised, we often act out of instincts. Amazingly, the people closest to the crises often act with selfless courage. Todd Beamer led a group of passengers in an effort to prevent a fourth crash on 9/11. Videos and stories of Boston show normal people acting heroically in surreal situations. But those of us not at the site react, too. And so often, the reactions are not just anger, but rage. Not just fear, but hatred. Not just grieving, but soapboxing. When we’re surprised, we don’t often choose our responses. But rage, hatred, and soapboxing don’t bring about healing. But news like this isn’t surprising anymore. I think that means that we can intentionally choose our responses. Offer prayers. Maintain hope. Spread peace. Comfort the frightened. Let’s be intentional as we choose our responses to those who have been hurt by others. This is such an astute observation, Addison. Yes, let's be intentional. So well said. Thanks Lori. I've been feeling that way for a while.